The number one key to overall health and fitness is proper body weight. Since most of us are overweight, I’ll focus on that issue in this article. The only true solution to weight loss is to exercise more and eat more wisely. Eating wisely is eating the proper healthful foods in the proper quantities for you. Eating less by itself will typically lead to weight loss, however you won’t end up as healthy as you could be if you added exercise to the equation. Exercise helps you achieve and maintain your proper body fat percentage. Here I explain the only weight loss exercises that I have ever found to work. The body fat percentage is a measure of fitness level, since it is the only body measurement which directly calculates a person’s relative body composition without regard to height or weight. 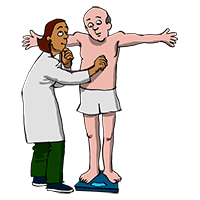 The body fat percentage of a human is the total mass of fat divided by total body mass; body fat includes essential body fat and storage body fat. Essential body fat is necessary to maintain life and reproductive functions. The percentage of essential body fat for women is greater than that for men, due to the demands of childbearing and other hormonal functions. The percentage of essential fat is 3–5% in men, and 8–12% in women. Storage body fat consists of fat accumulation in adipose tissue, part of which protects internal organs in the chest and abdomen. 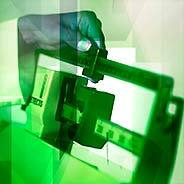 The minimum recommended total body fat percentage exceeds the essential fat percentage value reported above. A number of methods are available for determining body fat percentage, such as measurement with calipers or through the use of bioelectrical impedance analysis. A few years ago Al Sears, MD put together an exercise regime he called “PACE” and wrote a book about it: Pace: The 12-Minute Fitness Revolution . Trainer Phil Campbell took the latest research, added more specificity to the regime, called it “Sprint 8” and wrote: Ready, Set, Go! Synergy Fitness . This training concept, sometimes called “Peak 8”, focuses on short-duration, high energy, interval exercises. Swimmers, runners, skaters and other athletes have run sprints for decades. The latest research that created the Sprint 8 concept has determined that eight repetitions is the best number for the maximum health and fitness benefit. Plus, there are specific time frames for sprinting and resting that work best. Interval training is a type of discontinuous physical training that involves a series of low- to high-intensity exercise workouts interspersed with rest or relief periods. The high-intensity periods are typically at or close to anaerobic exercise, while the recovery periods involve activity of lower intensity. Interval training can be described as short periods of work followed by rest. The main aim is to improve speed and cardiovascular fitness. Interval training can refer to organization of any cardiovascular workout (e.g., cycling, running, rowing, etc. ), and is prominent in training routines for many sports. It is a technique particularly employed by runners, but athletes in many disciplines use this type of training. Warm up: three minutes. Simply do some stretches then perform your exercise of choice slowly for three minutes. By my calculations that’s a 19 minute exercise regimen, plus time for stretches. Plus, this program includes only four minutes of hard work. The research has also shown that a 48 hour recovery period between these 19 minute episodes is mandatory. Thus, do them three times a week, or every other day.
. . . basically any device that will let you exercise the major muscles in your body in this type of fast/slow high intensity interval training. These devices also constrain your motion, so you are less likely to injure yourself by over-stretching. I personally use an old NordicTrack ski machine and recommend it highly. A machine is especially beneficial for winter exercise when snow and ice may make outdoor exercise dangerous. 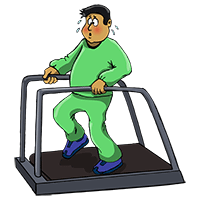 The first thing to do, as always, is consult with your physician before starting interval training. Interval training programs cause your heart rate to rapidly increase for short periods then decline during the rest interval only to be followed by another rapid increase. This really puts your heart and lungs to work, so be certain you can handle it before you start. I was not able to do a full eight repetitions when I started. I could only do a couple before deciding that the next one would kill me. I kept at it however and was gradually able to add another repetition then another, finally getting to the full eight reps. I do offer one warning from my experience. You may feel like you are plateauing after a few weeks of this. I did and decided that I’d just try to go faster and harder for those 30 seconds. The problem is I just took off too fast and ended up hurting myself. So, don’t try to over do this, but keep it going as fast as you reasonably can for the 30 seconds. Frankly, when you are performing this form of exercise, you will not be inclined to keep your eyes on a stop watch and keep track of how many repetitions you have accomplished. Instead, your focus needs to be on pushing yourself really hard on the high intervals and slowing your heart and catching your breath during the low intervals. Fortunately there are tools to help. Your smart phone may have the answer. There are a number of smart phone applications that will time your regimen, so that you don’t need to pay attention to a clock. I use an iPhone app called “Interval Timer. ” Not only can I set up timers and alarms to indicate the warmup, high interval and low interval, I can also play my chosen music through the whole process. Once set up, all you need to do is put on your headphones, press start and change from high to low with each alarm sound. You will see results quickly. Check your weight before you start a program, after your first week, then after your second week and you are almost certain to see the pounds melting off. The bottom line with high intensity interval training is that it works! I found it virtually impossible to not lose weight with this program. Further, with a full set at only 20 minutes per day, every other day, it will not take much of a bite out of your available time. If you have any questions or comments, please enter them below. If you’ve tried interval training, what was your experience? Did you lose weight?